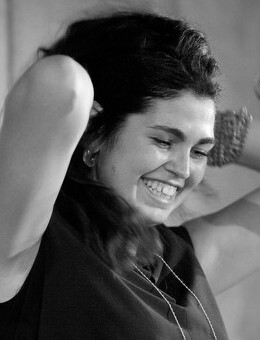 Julia Werner is an accomplished and versatile singer from Amsterdam. Trained at the prestigious Conservatory of Amsterdam, she performs internationally as a solo artist backed by some of the finest contemporary musicians. She also writes original compositions and collaborates with many different artists, bands and musicians. Her intimate stage performances draw enthusiastic and appreciative crowds who enjoy her soulful and resonant voice, complimented by her enigmatic stage presence. She has been performing locally and internationally with different bands in jazz, blues, rock, world, soul and pop music. In the past year she performed in New York City, London, Amsterdam (Concertgebouw, Bimhuis, North Sea Jazz Club) and in Mumbai (Royal Opera House, the Quarter), where she currently is the Head of the Vocal Department of the True School of Music, India’s largest and most influential music school for western music. Julia has worked together with Gary Lucas (Jeff Buckley), Logan Richardson (Pat Metheny, Jason Moran, Nasheet Waits), Todd Rundgren (Hall and Oates), the Dutch Opera and numerous other projects. Besides writing and performing, Julia has been organizing concerts and festivals, performing in musical theatre, providing professional vocal coaching and leading a contemporary choir made up of 30+ accomplished vocalists. Julia is very much an artist. Her wide range of musical appreciation allows for an eclectic range of musical creation. Whatever the genre, Julia has the musical knowledge and dexterity to deliver a performance guaranteed to create a deep connection and lasting impression with an audience.